Protect your cards with sleeves that provide all the style and reliability that you would expect from Ultra Pro! 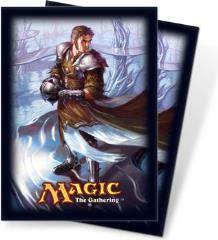 These high quality sleeves come in an 80-count pack and fit standard sized cards. The sleeves artwork features Magic the Gathering’s newest Planeswalker: Venser, the Sojourner from the Scars of Mirrodin block!